You will be attending the free ECO FUN FEST. Pinellas County is sponsoring a free ECO FUN FESTIVAL on Sunday, February 25th from 11 a.m. to 4 p.m. at Bridgeway Acres Commons, at 11418 34th St. N., Clearwater. It’s a family-friendly event designed to educate residents about making positive environmental changes in our community and homes. Our club has been invited to display a few Teslas. We have reached our limit on display Teslas. We expect to have a Model S, X and 3 on display. If you just want to attend the event, select the "Attend the ECO FUN FEST" registration type. 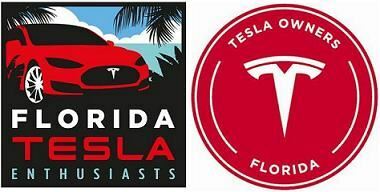 The event is located just 4 miles from the Pinellas Park Supercharger Station.